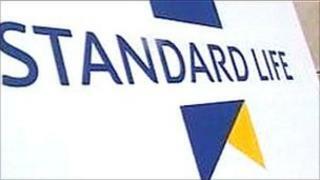 Talks have broken down over a joint venture between Standard Life and Bank of China. The Edinburgh-based finance house had hoped the Chinese financial giant would take a majority stake in its Heng An Standard Life business. That would have made it a domestic insurance company and given it more freedom to operate in China. The joint venture, which operates in 31 Chinese cities, was set up in 2003, selling a range of insurance products. It has grown to have 350,000 customers, with £116m of business last year. In September last year, Standard Life announced it was in the final stages of talks with Chinese regulators for Bank of China to take a majority stake in Heng An Standard Life. As a joint venture with half its ownership in non-Chinese hands, and the other half controlled by state-owned investment agency Tianjin TEDA International, the company has been constrained in where it is allowed to operate. Standard Life said last year that the attraction was Bank of China's "excellent distribution strengths, and there continues to be significant growth potential across the fast-developing life insurance industry in China". Last month, Chief executive David Nish travelled to China as part of a business entourage accompanying Prime Minister David Cameron, and the company has also been backed by Scottish First Minister Alex Salmond on a visit to Tianjin in July. But 15 months after saying it was in the final stages of talks, Standard Life issued a terse statement to the London Stock Exchange, saying: "It has not proved possible for the parties to reach agreement. Standard Life will continue to develop Heng An Standard Life in partnership with its existing joint venture partner". No further explanation was given. A Standard Life source said: "We were very positive about the talks. There's disappointment that the parties haven't managed to reach agreement, but our business is well-established out there. We've got a very successful joint venture in India, so our focus on Asia will continue." According to Standard Life, its joint venture's business represents only 1% of sales.